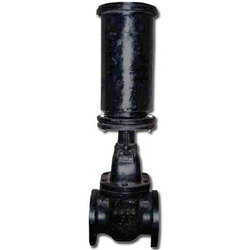 We are a leading Manufacturer of iron sluice valve and sluice valve from Jaipur, India. Since our establishment, we have become the well-known manufacturer, importer and supplier of a high quality array of Iron Sluice Valve. The offered valve is designed by using the best quality raw material and cutting edge technology by our adroit professionals. Our provided valve is tested on diversified parameters by our quality examiners. Apart from this, offered valve is highly acclaimed in refineries, waste water treatment industries and petro chemical industries. Leveraging upon our technologically advanced production facility, we offer a supreme grade variety of Sluice Valve which is used often used when a straight-line flow of fluid and minimum restriction is desired. Under the stern vigilance of our adroit professionals, this valve is designed using supreme quality raw material and modern technology. 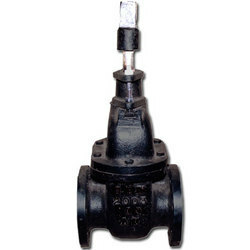 Our offered valve is quality tested on varied parameters so as to ensure its durability. Looking for Sluice Valve ?